Given today’s economy, many performance centers and churches find themselves operating under limited budgets. Wybron understands this challenge and works hard to develop equipment that performs both reliably and efficiently. We think our Cygnus LED studio lights are a prime example of this type of smart engineering. Taking into account all the features and durability they offer, our LED lights are a great value for the money. 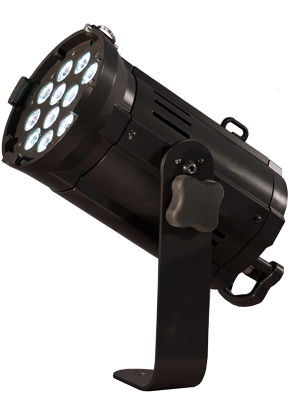 Whatever you may think you know about LED studio lights, Wybron’s are sure to surprise. Following up on the overwhelming success of the Cygnus Color Wash, we have produced an all-white LED studio light that offers the same premium features. The Cygnus Studio Series is available in a variable white configuration that provides the answer to every situation requiring studio lighting. Our Cygnus LEDs are built with all the same attention to detail and quality you have come to expect from our scrolling color changers and other Wybron products. The Cygnus is constructed from rugged aluminum and is a compact, self-contained design (no dimmers, power supply, excess cabling or lamp replacement required). One of the problems with a conventional LED studio light is that it may experience hot temperatures at the LED circuit board, which then affects the color temperature and intensity of light. To meet Wybron’s standard of excellence we developed an active cooling system that continuously maintains the Cygnus’ temperature. By designing the LED to run cooler, it provides a lot longer life of consistent color with maximum output. 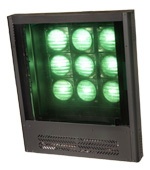 The added benefit is a “green” studio light that is one of the most energy efficient on the market. We have received a lot of positive feedback from professionals using our LED studio lights so what sets them apart from the competition? The all-white studio wash light has variable color temperatures ranging from 2800K-6000K. 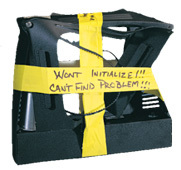 This provides flicker-free white illumination from daylight to lamplight. A new grip mode panel function allows changes to color temperature and intensity right at the unit. Wybron uses an integrated 2 color white quad die that serves to give precise variable color temperatures vs. fixed temperatures found in a traditional LED light. These lights make it easy to achieve beautiful, bright white illumination to create looks with natural daylight to warm hues. 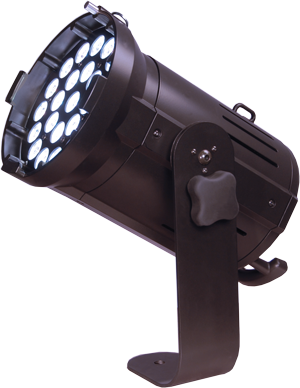 Wybron Inc. invents, manufactures, and sells state-of-the-art professional lighting equipment used all over the world. We have been a leader in the industry for over 30 years and continue to bring innovative products to the industry, such as our LED studio lights.